Putumayo World Music has come out with a project called India: A Cultural Journey, an innovative book that represents Putumayo’s first foray into publishing. India combines photography, travelogue and cultural exploration. This book presents a whole new way of traveling the globe, Putumayo style. it is published in conjunction with a "CD collection showcasing India’s rich musical variety, from traditional and acoustic music to Bollywood and electronica. India’s emergence as a global economic power has brought increased awareness of this extraordinarily diverse country’s multicultural offerings, its music foremost among them." India’s thriving popular music scene—an adjunct to the country’s immense Bollywood film industry—is highlighted on this collection. The love ballad “Tere Bina,” from last year’s blockbuster Guru, was written by acclaimed film composer A. R. Rahman and features Chinmayee, the award-winning female playback singer (an artist who records the songs that actors lip-synch). My favourite song of yours is Sahana............... in Sivaji. akka neenga work paninathuku kidacha palan. you are rocking. keep going.my wishes for you to better. btw..'Zara Zara' focuses on Carnatic Tradition????!!!?!? !Whoever told them that! Great to see your name up there!!! Tere Bina is an awesome song!!!! playback singer (an artist who records the songs that actors lip-synch). Chinmayee - an artist who does playback (please see definition above) singing in a fantabulous manner !! Great to see your name popping up in that album... Best Wishes!!! hope you met ARR after he reached home. i saw you in one of the snaps along with srinivas, sujatha and benny congratulating ARR. why dont you share your experiences on that visit? Proud moment, indeed! ...Let this be the start and grow to greater heights... ARR for inspiration! Did you get a touch of the oscars? how did it feel?? 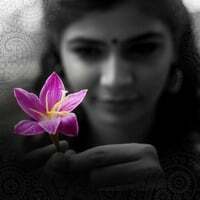 Congrats Chinmayi, I love that song...nice to read this!! Thank you Chinmayi for giving this song so beautifully to us! Ha ha.... congrats. Long way to go. Beautiful voice. Just another feather to your already crowded cap...keep up the good work.Cheers!!! Not really the type to get involved with blogs, tv shows etc..but still felt I should comment, on your absence from Super singer. Don't know the reason why you arent there, or whether you will be back,but it sure seems different without you. For one, I as many others would agrees, do not like Malini compering for the show. At times its painful to watch her on TV, but more so since you did a really wonderful job. I just get to watch the show on the internet, since I dont get to watch it on TV here in New York. Hope to see you back on the show soon. And when did Rohit get eliminated from the Super singer? I dont remeber having missed any program, or was it due to other reasons? Nice to see your name :) Keep rocking and all the best . hey chinzz.. really gr8 to knw u are multi talented :-o u are lucky ;-) (veetla solli dhrishti suthi podda solunga ) lol! congrats..btw i saw that u've sung the title song for a teleserial "kanmaniye"..sounding great..
miss you lots in airtel super singapore! the new people are really over doing it. come back!!!! Thats great to be featured on Putumayo. I have a lot of their CD's, we used to sell them at our Coffee Shops in Michigan. I suppose with the two Oscar's that A.R. Rahman got this year, this should be even more popular.